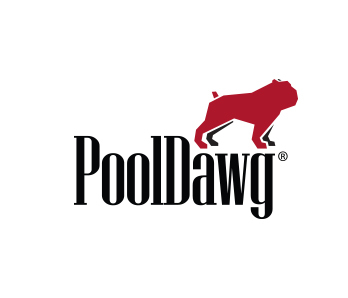 Here at PoolDawg, we offer a wide selection of pool bridge sticks and mechanical bridges. Whether you need a standard type of bridge that you can take with you anywhere you go. Or a bridge that fits the classy style of your game room. Or even a bridge of the professional caliber. We’ve got all the bridge stick options for you from top brands like Kamui and Tiger. This convenient, portable, hand-held bridge supports your cue allowing you to achieve a downward hit even when the cue ball is in the middle of the table! This ingenious product even includes a cloth disc which can be placed under the cue ball during practice to avoid any damage to the cloth or table. Standard mechanical bridges feature bridge heads with a rubber grommet to fit on almost all cue sticks. The Moosehead Bridge is the most widely used and works great with house cues. If you’re looking for more of a classy style, the Solid Brass Billiards Bridge is the product for you. It pairs with the 2-piece black breakdown bridge stick for a solid feel. We also feature professional quality bridges, including the Justa Bridge, Kamui Vue Bridge Head, or our telescoping and retractable bridge sticks. As you can tell, we have bridge selections for all sorts of preferences and players alike. Bridges can be a valuable asset to your game, especially if you have a long table. A lot of people shy away from using these handy tools because they’re unsure how to properly use them. If that’s the case for you, we recommend reading 6 Tips for Mastering the Mechanical Bridge by Jennifer Barretta to get some pointers.